The String Orchestra of Brooklyn (SOB) announces its inaugural String Theories Festival, March 26–29, 2015. This four-day, four-concert festival will feature over 40 performers and composers from around the world celebrating 21st-century music for strings. Highlights of the inaugural year include the New York premiere of Andrew Norman‘s The Companion Guide to Rome, recitals by violinists Rachel Lee Priday and Erica Dicker and violist Miranda Sielaff, and members of Contemporaneous performing a work by their co-director Dylan Mattingly for amplified string quintet. The festival culminates at Roulette, with two world premieres of SOB-commissioned works by Reiko Füting and Mario Diaz de León, performed by the String Orchestra of Brooklyn and loadbang. 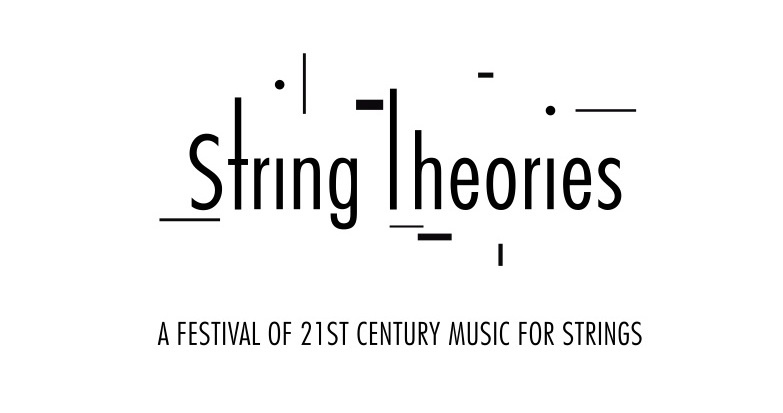 The String Theories Festival expands and deepens the SOB’s commitment to promoting the creation and performance of new works for strings; to providing unique opportunities for performers and composers; and to bringing affordable, adventurous music to the neighborhoods of Brooklyn and New York City. The String Theories Festival kicks off with the New York premiere of Andrew Norman‘s The Companion Guide to Rome plus recent chamber works by Scott Wollschleger, Leah Asher, and John Stulz. The performance is curated by violist Anne Lanzilotti, who will also be performing alongside Meaghan Burke, cello; Lavinia Pavlish, violin; John Stulz, viola; and Alice Teyssier, flute. The second concert of the String Theories Festival features violinist Rachel Lee Priday and pianist David Kaplan presenting a program of works by Chris Cerrone, Scott Wollschleger, Samuel Carl Adams, and Ludwig van Beethoven. For the third concert of String Theories, violinist Erica Dicker and pianist Emily Manzo present a program of works by Sofia Gubaidulina, Judd Greenstein, and the US premiere of Ig Henneman‘s In the Storm of Roses for solo violin. The final concert of String Theories culminates at Roulette, where violist Miranda Sielaff performs a set of solo John Harbison etudes, followed by members of Contemporaneous performing a string quintet by Dylan Mattingly. Finally, the String Orchestra of Brooklyn and loadbang present two SOB-commissioned world premieres by Reiko Füting and Mario Diaz de León, alongside recent works by Füting, Richard Carrick, and Justė Janulytė.